His soccer body wasn't doing it for him, so he started to build his body better. See how Caylan prepares to set his gaze on a future on the professional stage! I have always been involved in sports and staying active. Soccer was my sport of choice and I played competitively all over the United States. When I was 16 I was one of the smaller kids. I had no choice; I had to start working out to get bigger and stronger. When I started I knew absolutely nothing about how to work out. I was intimidated as a young kid in the gym. However, over time I learned a lot from watching people. I was always trying to learn new things about training and diet. Before I knew it I was doing research and buying new magazines every chance I had about working out and nutrition. It became a new passion and my passion has only grown since. Now even his speeding metabolism can't keep up! I have a fast metabolism and place an emphasis on making sure I get plenty of carbohydrates to fuel my body. I alternate my carb source from white rice to white potatoes periodically every couple weeks. I try to keep a variety in my protein sources because of the varying amino acid profiles each one has to offer. My vegetables are a staple in my diet as they provide me with key nutrients. I prefer broccoli because of the vitamin C and fiber that helps aid in digestion of your food properly. I favor broccoli, however I substitute other green vegetables from time to time. My essential fats range from almonds to extra virgin olive oil. I try to include them in every meal because the health benefits are endless and they help promote fullness for me. Here is what my diet looks like on a daily basis. There are several supplements are find to be critical in my gains and recovery. I found that USPlabs Modern BCAA's worked fantastic for me. I prefer it over other BCAA products because of the electrolytes and glutamine it has in it as well. The BCAAs are important for 3 main reasons: prevent your body from falling into a catabolic state; your body cannot produce it by itself, absorbed through the muscle and not the liver. My other two main supplements are ON 100% Whey Protein and IDS Waximaize. I found these two have also yielded me with increased recovery times and do not leave me feeling too full so I cannot eat later. 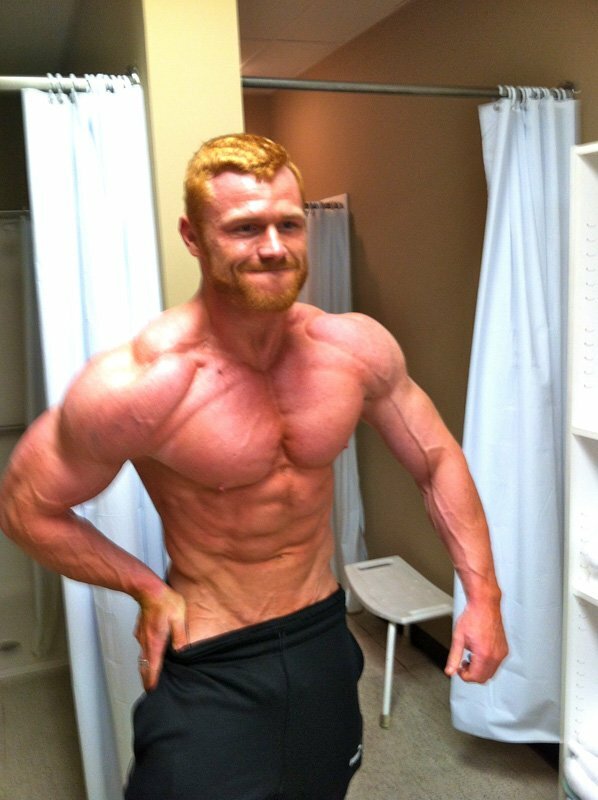 What is there not to love about fitness and bodybuilding? I love to see positive changes in my physique. It is something you can always work on and always find room for improvement. You are constantly striving to look better, live healthier, and empowering yourself to be a better person. I feel it makes you a stronger person mentally because of the consistency and dedication it involves to truly see results. Greatness is not achieved overnight. Fitness and bodybuilding is a marathon - mentally and physically. I have always been a health conscious person. My parents and friends have grown to support me over the years as I have become even more health conscious in my diet and training. Surrounding yourself with people with similar goals and lifestyles makes it easier and also helps motivate you to stay on track. That is one of the main reasons I started a BodySpace account. It gives a support group and accountability partner at all times. Every person on BodySpace motivates me to be my best and live the lifestyle. Setting goals and achieving them is one of the best feelings you can have in life. The great thing about the Fitness/Bodybuilding lifestyle is it promotes constant change and challenges. Like I mentioned earlier, you are never really done. You're always in pursuit of bettering yourself as an individual mentally and physically. I have set so many goals since I started and am constantly setting new ones. It pushes me to be my best at all times. I would like to one day compete in the new Physique division. I would love to start competing a couple times a year and one day possibly earn my Pro Card as a Men's Physique competitor. I feel the more times I compete the more I will learn about my body and how to diet for the competitions. It's an extremely tough sport because there are so many great athletes out there. I am also an aspiring fitness model. There would be no bigger reward than to grace the cover of a magazine or earn my Pro Card. I have a long ways to go and still much to learn. The biggest tip I have for anyone trying to achieve their fitness goals is be consistent. Rome was not built in a day, and you will not achieve your goals overnight. Stay positive and keep your end goal in mind. The more consistent you are the quicker you will see changes in yourself and the more likely you will be in attaining your goals. 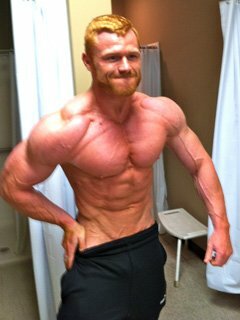 I use several features on Bodybuilding.com. I order all of my supplements from the website. The customer service and delivery time is second to none. I also enjoy the free samples they give you in your order. Another perk to shopping online with Bodybuilding.com is the sales they are always running. It gives me the opportunity to save and try something I may have not tried with the promotion. BodySpace is a great way to stay motivated and get advice from people. I do not know what I would do without my BodySpace account. I feel each one of my friends is my accountability partner. I have built some great relationships and learned so much from the people I talk with on there. So many people have great advice and motivational stories. There is nowhere else on the internet you can find free advice and great stories like you do on BodySpace.